Available for the Slim Phatty and coming soon for the Little Phatty with OS v3.0, this free download makes experimenting with alternate scales a breeze. 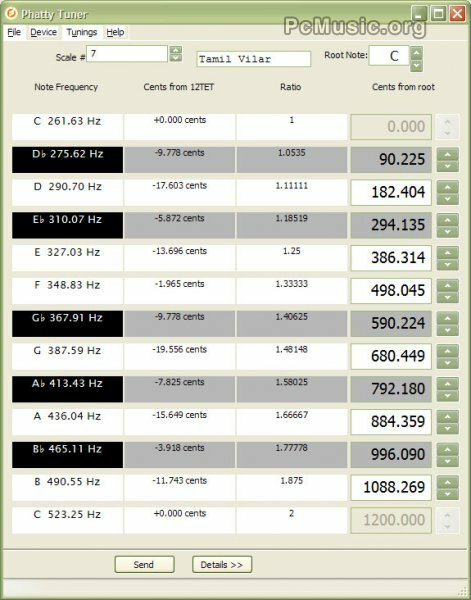 Tuning data is easily editable and is displayed as a ratio, frequency and in cents. Scala files (www.huygens-fokker.org/scala) can be imported and exported for use with other tuning software. An unlimited number of tunings can be saved on your computer and the synthesizer's hardware can store up to thirty-two different tunings; enough to take you around the world and back again.